A few years ago, Hasbro issued this line of figures/statutes. They were artist interpretations of the characters in action poses. They were a great addition to the Hasbro line if you wanted something nice to display they was still at a good price. While I didn’t care for all of them, many of them were really nice. 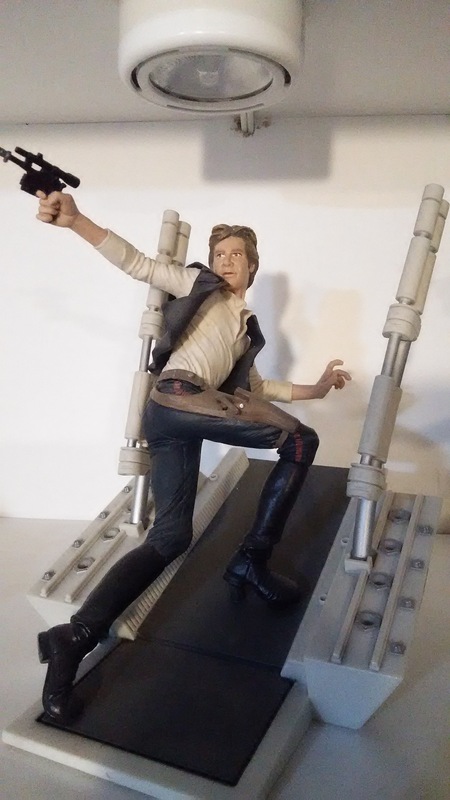 This Han Solo is one of them.